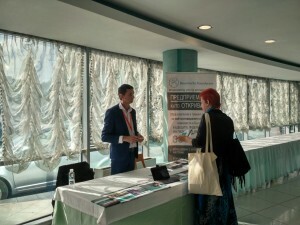 The team of Bauersachs Foundation participated in the annual GEM(Global Entrepreneurship Monitor) Conference in Bulgaria. The event was held in Sofia, Rainbow Plaza in Sofia on 03-04.10. 2016. Bauersachs Foundation participated as an associated partner, presenting its entrepreneurial educational programs. The forum with the motto “Entrepreneurship: trends, impact, growth” launched the first GEM report for Bulgaria – data, analysis and recommendations to the stakeholders as well as facilitated high-profile and high-i mpact dialogue between them in order to better the environment in Bulgaria and the region. The event highlighted the latest trends, successful global practices and talked about growth.